Great food, atmosphere and service are what we're looking for. Here Local Mums give their recommendations for the best places to eat and drink in our area. 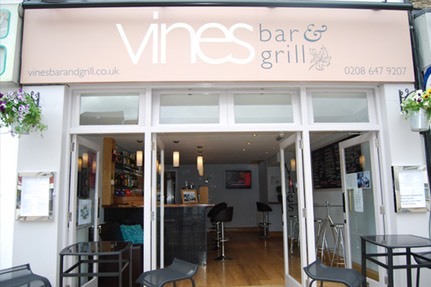 �“Vines Bar and Grill��in Carshalton�is a fantastic, family-friendly restaurant. The food is outstanding (excellent meat from Scott’s the butchers next-door), the owners are a really nice family who have recently had their fourth baby and the restaurant looks great inside. Good for an early dinner with the kids (they have high chairs and colouring packs etc), but also perfect for a Girls’ Night Out (DJ on Fridays and Greek plate smashing show on Saturdays) or an evening meal as a couple. 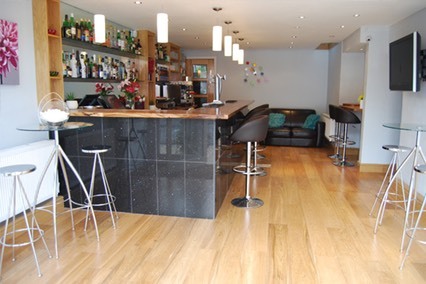 A fab, local restaurant for mums"
Vines Bar and Grill in is an exciting new restaurant/wine bar in Carshalton.�Formerly The Greek Taverna, the owners have transformed the restaurant into a bright, modern and comfortable place to have a great evening out. We have also created a separate wine/cocktail bar if you just want to have a drink or a cappuccino. They supply us with the best Scotch steaks and meats, which in turn reflects on our quality to you. Whether you are popping in for�a drink at the bar, or an a la carte meal, we have something for everyone here at Vines. Tuesday to Thursday is our Mums' Special Offer. You can choose from a starter and main course and have a glass of house wine for only �10 PER PERSON. (Maximum of four people only and please mention Local Mums Online/Carshalton Mums). To celebrate the Summer we are also starting our happy hour (2 for 1) on bottled beer, cocktails and house wine�from 5-7pm Monday-Saturday. We are the only cocktail bar within a five mile radius, so let our bartender make you one of our wonderful�creations and put you in a party mood. Also, we take requests for music (except at really busy times)�so you can listen to your favourite tunes while enjoying your cocktail. But even though�Vines Bar and Grill��are doing all of the above, don't forgot the reason we have been here for 23 years…our party nights every weekend, with plate smashing, a live Greek show and disco until 12.30am.�Perfect for birthday parties, hen nights, office or Christmas parties, etc. We are outside caterers - with finger food, canapes, buffets or full sit-down menus. Catering for weddings, birthday celebrations, wakes, first communions, etc. We cater from 20 to 400 people.